Next Generation Aviation (NGA) is FAA approved for many commercial operations. We have the answers you need for your specific mission or industry. From individual missions to setting up UAV flight operations for fixed based operators, NGA is ready to get your business going in the right direction: up and flying legally. Please call us directly at 973–714–8364. Welcome to Next Generation Aviation. We bring decades of valuable aviation experience to the emerging commercial unmanned aerial vehicle (UAV) industry. When buying new aviation technology, it is comforting to know the company you are dealing with has a long history of aviation expertise and customer satisfaction. We know that what happens after the sale is what makes both manned aircraft and UAV ownership experience successful. Our aviation experience pays off for our customers in another crucial area: selecting the right UAV from the best manufacturers. We know what airframe designs, flight control systems and engines work best in real world use. Bringing that knowledge to the UAV market is a rare commodity and in a rapidly changing landscape, it is a comforting capability. We consult with our customers to select the UAV that will meet their specific needs. This includes the best choices for cameras, sensors and gimbal mounts, too. 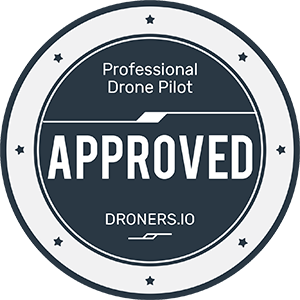 Commercial UAV’s are FAA certified aircraft, subject to a unique set of rules and regulations as well as those affecting manned aircraft. This is where Next Generation Aviation Services distinguishes itself from all others. Our real time knowledge of FAA regulations can keep you flying. Next Generation Aviation becomes your complete UAV solution by providing hull and liability insurance. Just click here to get a quick quote on your UAV. We can also sell your current UAV to help you upgrade to a more capable model as your needs or technology change.